PROFESSIONAL TILING, BATHROOM FITTING & PLASTERING SERVICES AT COMPETITIVE RATES. Hi, my names Jason, I work between Bognor & Worthing Areas. 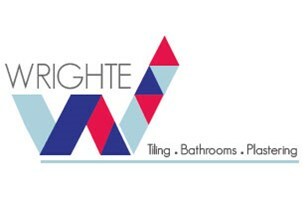 I have over 25 years experience in the building industry, specialising in tiling, bathroom fitting & plastering. I offer a friendly, affordable, professional service. OTHER SERVICES: Associated Building works, General Plumbing Partitions, Dry Lining, Suspended Ceilings & soundproofing. I offer all my clients options and sound professional advice when required. l will always go the extra mile to help with their home design, aspirations, developing ideas into reality. l offer full plans with bathroom re-fits & various other projects. I am also happy to offer full or part services for various types of projects/work, working alongside existing tradesman you may have already used or booked in for a project. All my clients receive a high standard of workmanship with clear detailed estimates, specifications, good communication & clear payment schedule. Call or Text me during working hours only, please.